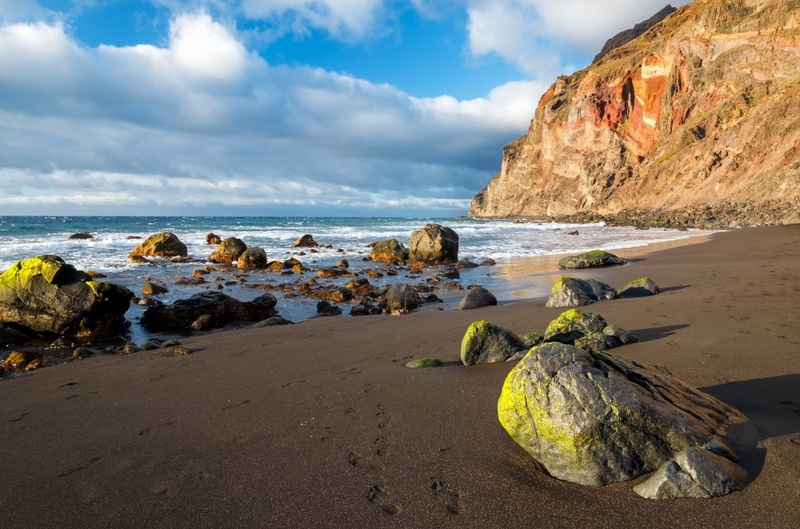 Due to the volcanic nature of the Canary Islands, there is a plethora of beautiful natural beaches which feature the black sand the islands are known for. If you prefer to work on your tan surrounded by lighter sands, you’ll be pleased to hear that there are also loads of golden bays, some of which are manmade using sands imported from Africa and some of which are completely natural. 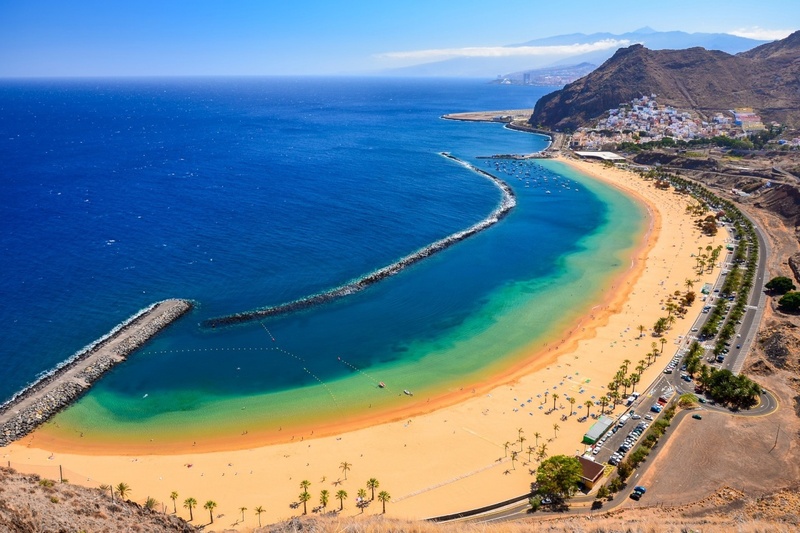 The Canary Islands are currently home to 46 Blue Flags which have been awarded to the beaches in recognition of their top quality water, fantastic range of services and unbeatable wheelchair access, amongst a number of other qualifiers. Even though the islands are surrounded by the Atlantic Ocean, the sea temperature is mild all-year-round. This means you’ll always be able to enjoy a refreshing swim, no matter which month it is. 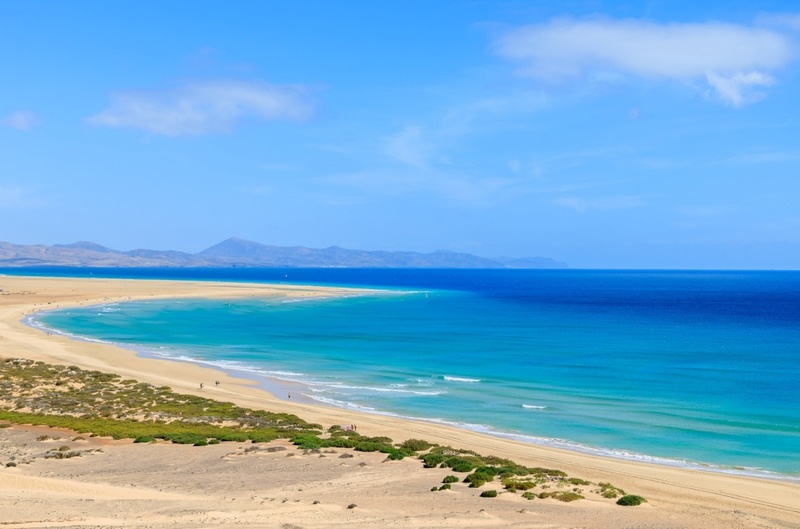 If you only visit one beach during your travels around the Canary Islands, it’s got to be Sotavento in Fuerteventura. Found on the south east coast of the island, this beach stretches on for more than 27km and is known for its picture-perfect golden sands. Thanks to the almost constant winds, this beach is a top location for windsurfing and kite surfing. Even if you don’t fancy having a go yourself, the water sports are great fun to watch. 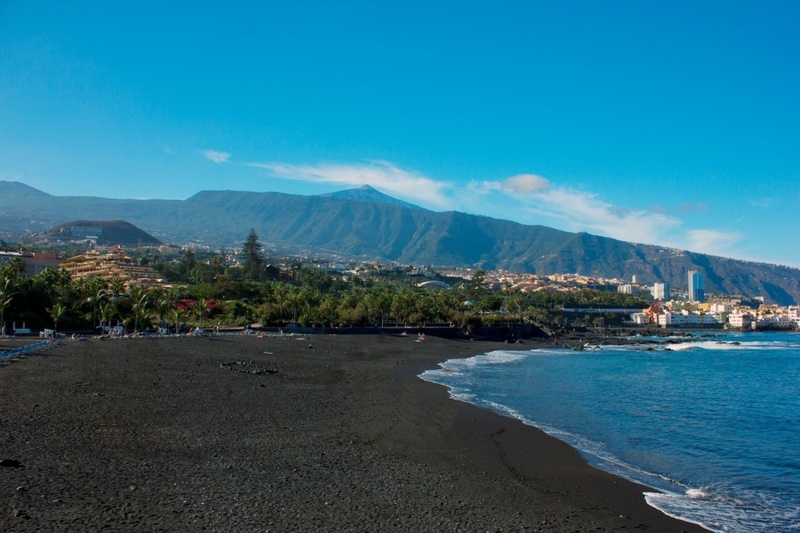 The manmade Las Teresitas in Tenerife is another must-visit beach. Tucked away into a corner of Santa Cruz, this long golden bay is washed by warm turquoise waters which are just begging to be bathed in. Las Teresitas is extremely popular with the locals so make sure you get there early to ensure you get a good spot. Valley Gran Rey is the longest beach in La Gomera, found on the south west coast in the centre of the main resort. A deep green valley runs down to the coast and gives way to this wonderful beach which is known for its black sand and crystal-clear waters. There are plenty of traditional local restaurants in the area which serve fish which was caught that very morning. 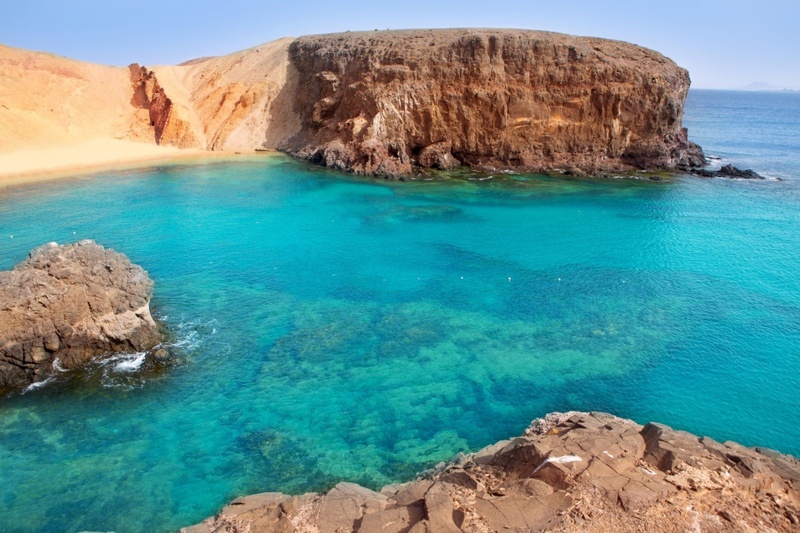 Papagayo is one of the most beautiful beaches in Lanzarote. This natural area is protected from any sort of development which means it’s guaranteed to stay as gorgeous as it is now for many years to come. Here you’ll find glorious golden sands which give way to warm aquamarine waters that are ideal for swimming and paddling. 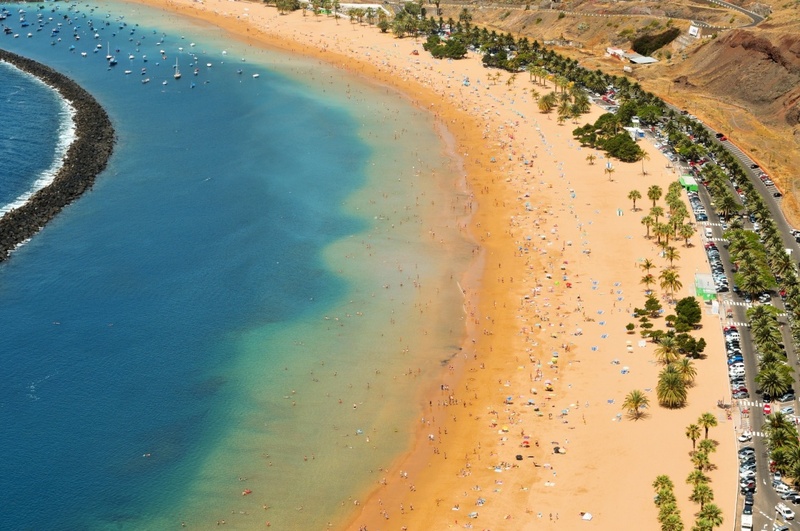 The biggest and most popular beach in Gran Canaria is Maspalomas. With more than 6km of golden sand dunes and gently lapping waters, you’re sure to find the perfect place to lie down your towel and relax. There is a nudist zone in the centre and various snack kiosks peppered throughout.